Evolve tuning recently went to Japan to check out some tuners and distributors of their parts and stopped at Stugie AG. If you aren’t aware of Stugie, they’re one of the biggest tuners of BMWs in Japan and even have their own racing team. They’re an eccentric bunch, with one of the more interesting showrooms we’ve seen from a tuner but it’s still a very cool place to see. In this new video Evolve walks us through Stugie’s HQ, main showroom and even their workshop. 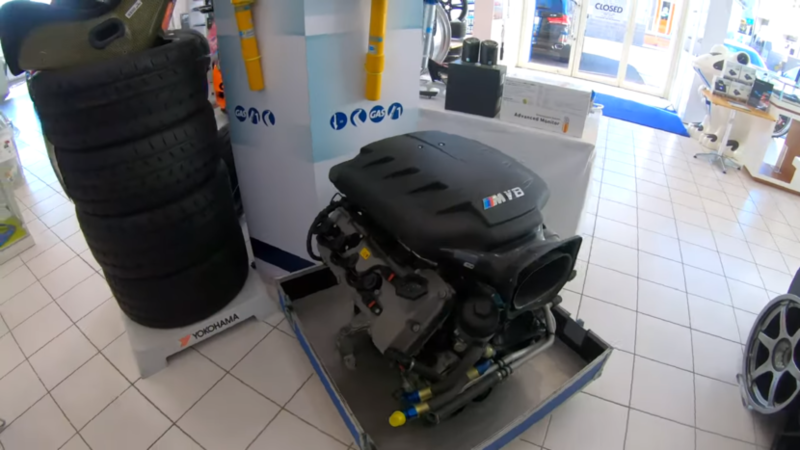 In the main showroom, they have tons of aftermarket parts from several great brands, such as AC Schnitzer and even Evolve’s own Eventuri parts. What’s even cooler to see is the E92 BMW M3 GTS sitting in the showroom, looking mint. There’s also an S65 racing engine just sitting on the floor, looking magnificent. There’s also a lot of parts from our friends at 3D Design there. Both brands, 3D Design and Stugie, are from Japan so it makes sense that they’re there but it’s nice to see. They make some really exciting and aggressive parts for BMWs, 3D Design, so it’s nice to see them getting some love. But what you really want to see is just outside the showroom, up front. A line of very impressive, very cool tuned BMWs sit outside the Stugie building, including an AC Schnitzer-tuned BMW M140i and the AC Schnitzer ACL2 BMW M235i, imported from Germany. Under wraps, there’s also one of Stugie’s BMW M4 GT4 race cars and, let’s be honest, there’s nothing cooler than a proper racing car. Basically, if you want your BMW tuned and you live in Japan, head over to Stugie AG. They’re the real deal and do some really nice work, while also being proper petrol heads with their own racing team and a couple of BMW M4 GT4s.